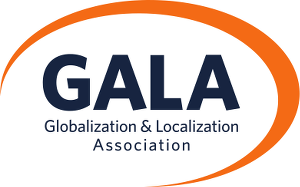 The Globalization and Localization Association (GALA) is the world’s leading trade association for the language industry. As a non-profit organization, we support our member companies and the language sector by creating communities, championing standards, sharing knowledge, and advancing technology. GALA’s vision is to be the voice for the language industry and the resource for the language enterprise. We support our members and the language industry by creating communities, championing standards, sharing knowledge, and advancing technology.